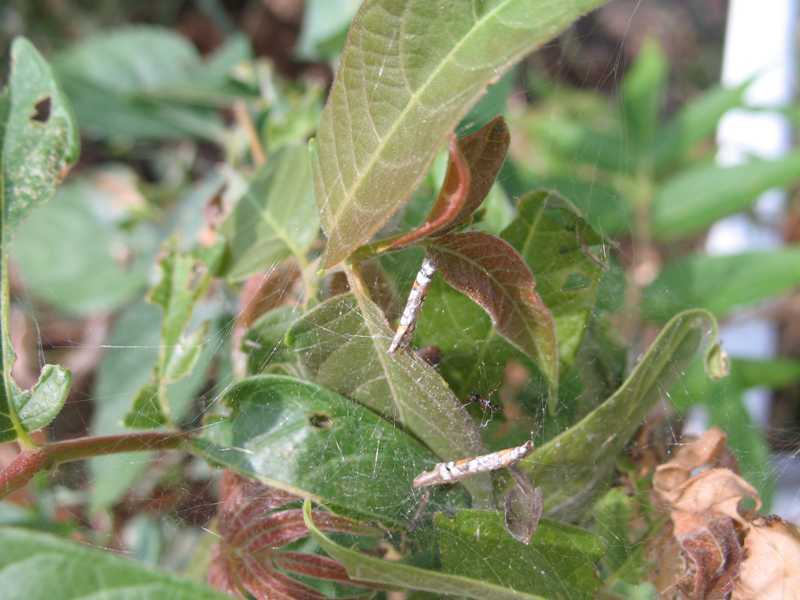 Leaf tiers, leaf rollers, bagworms and web formers (also commonly referred to as webworms) are the caterpillars of moths. 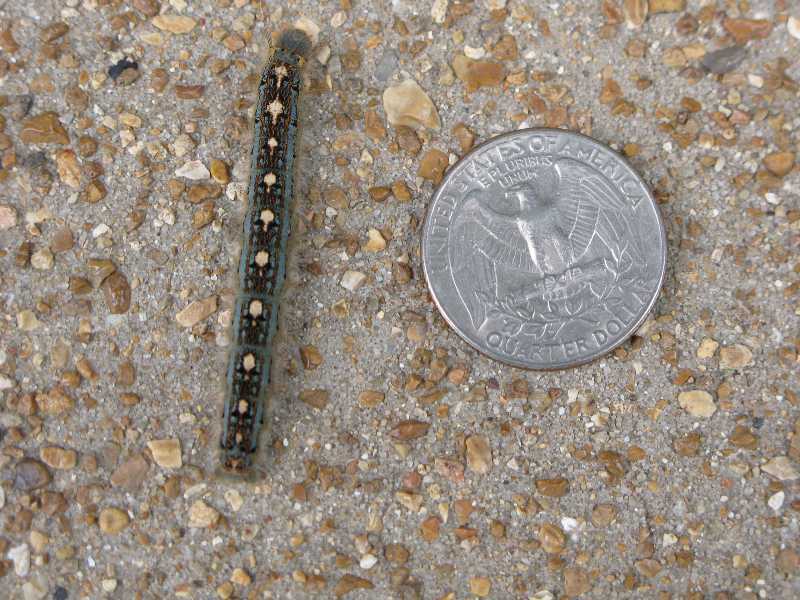 In their larval forms, they range from 3/8" to 2" long in length and vary in color from light to dark green or from cream to yellow. 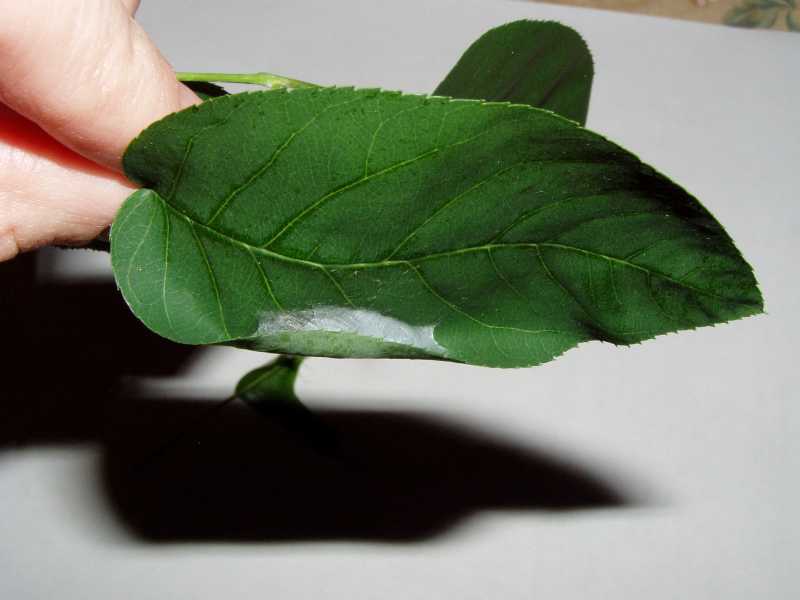 Leaf tiers can be further distinguished by a white and green back stripe. 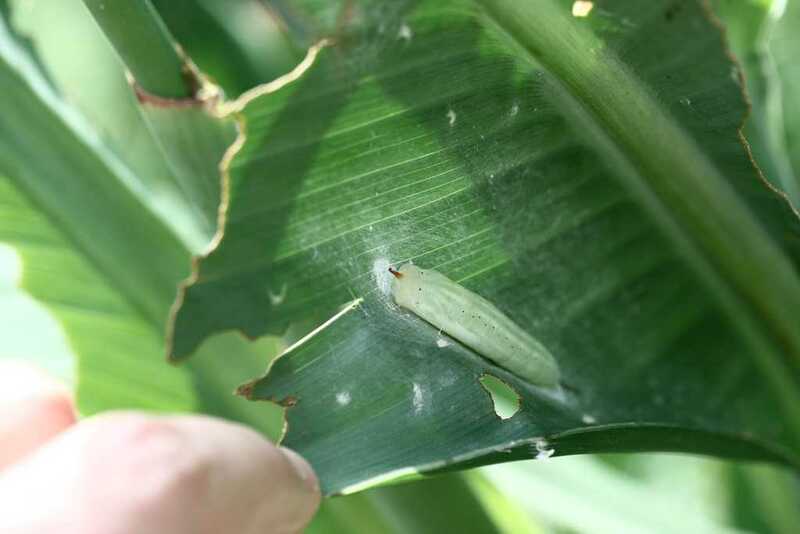 All species build silken nests around the host plant's foliage, which they inhabit individually or in groups. 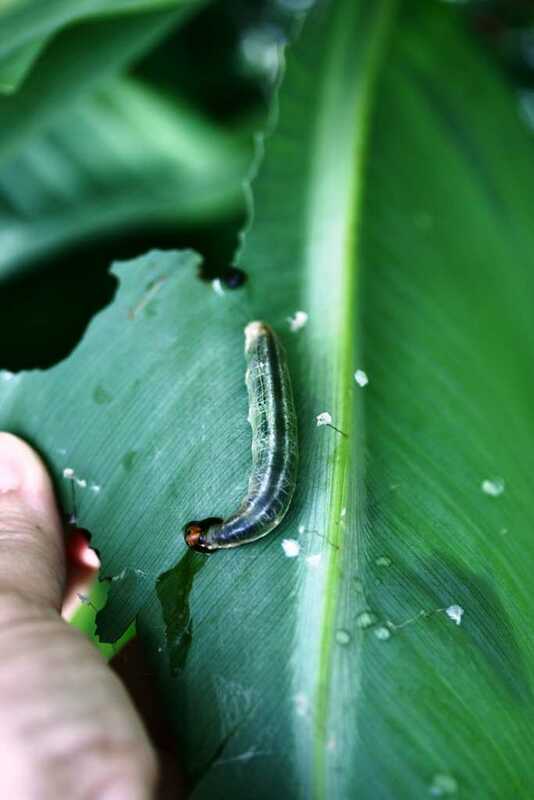 They also respond to similar control methods. 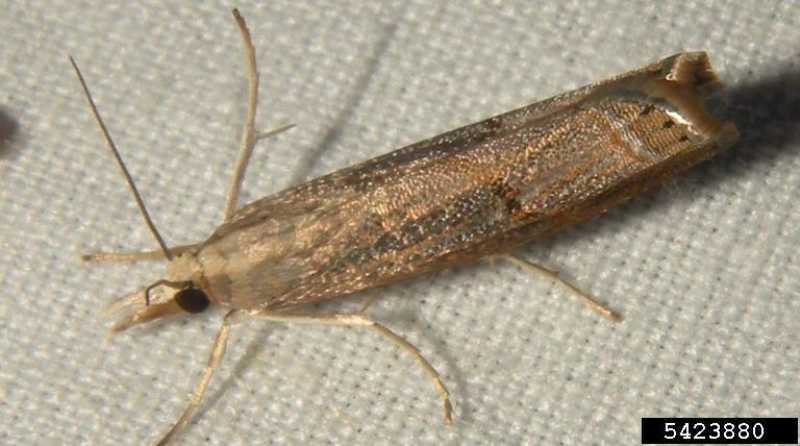 A more detailed description of each of these pest types is provided below. 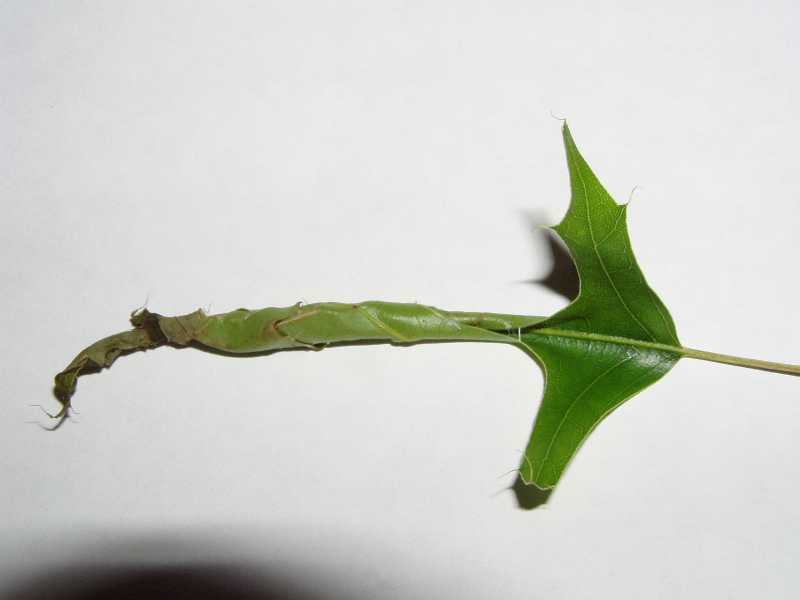 Leaf tiers attack terminal buds of plants, binding leaves with strands of silk to create shelter for themselves while they feed. 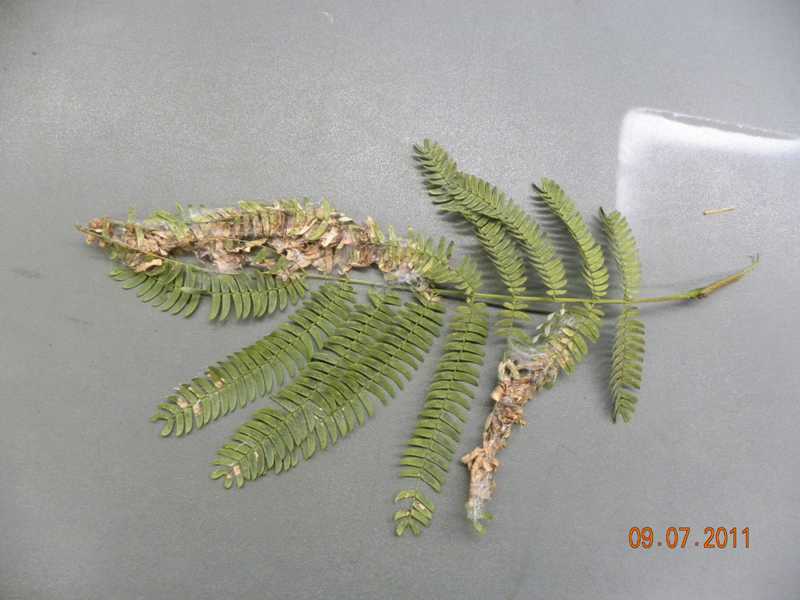 These leaves will become ragged and unsightly, turn brown and die. 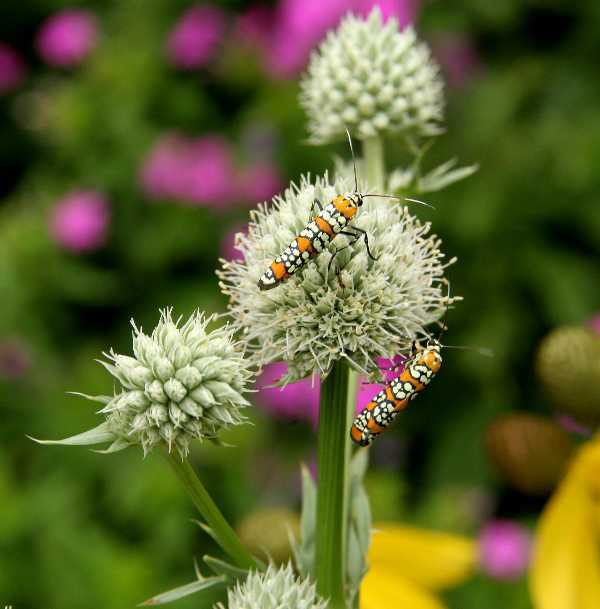 Leaf tiers are particularly fond of celery and flowering plants including ageratum, canna, forget-me-not, geranium, marigold, pansy, snapdragon, chrysanthemum, nasturtium, and salvia. 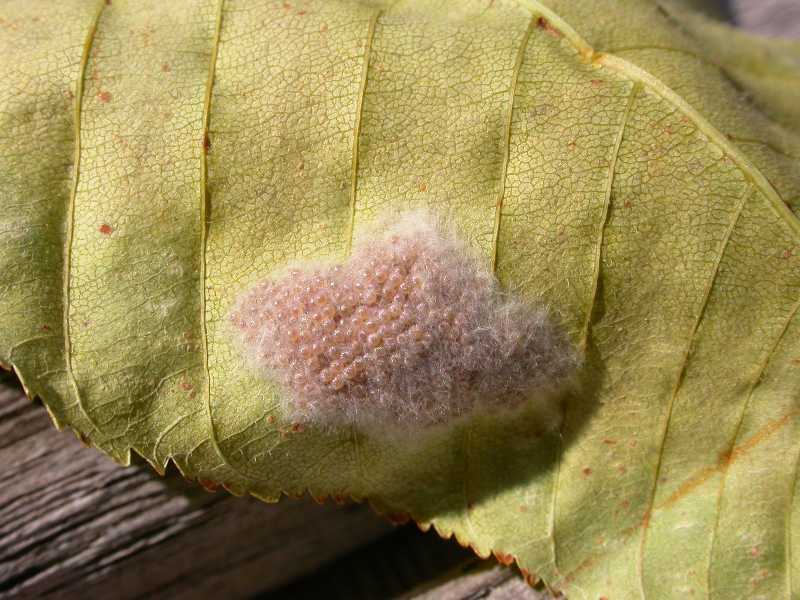 They may also affect trees. 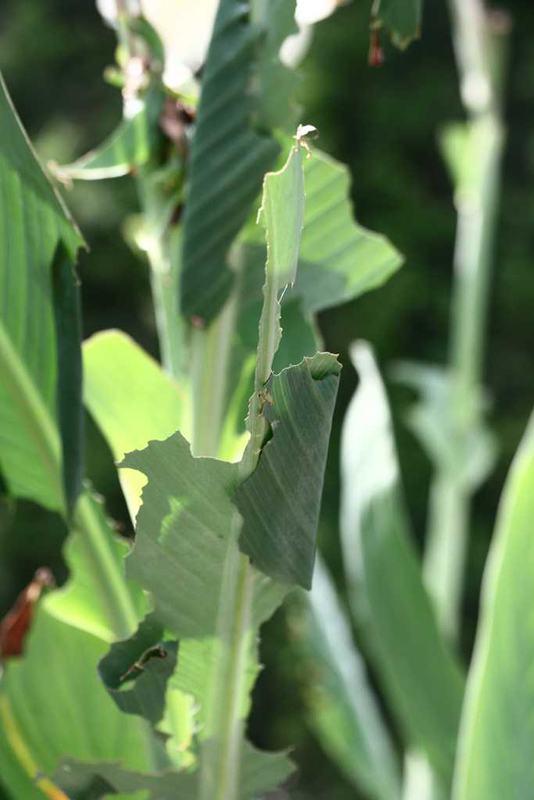 Leaf rollers wrap leaves around themselves for protection; from their shelters, they proceed to chew holes in flower buds and leaves. 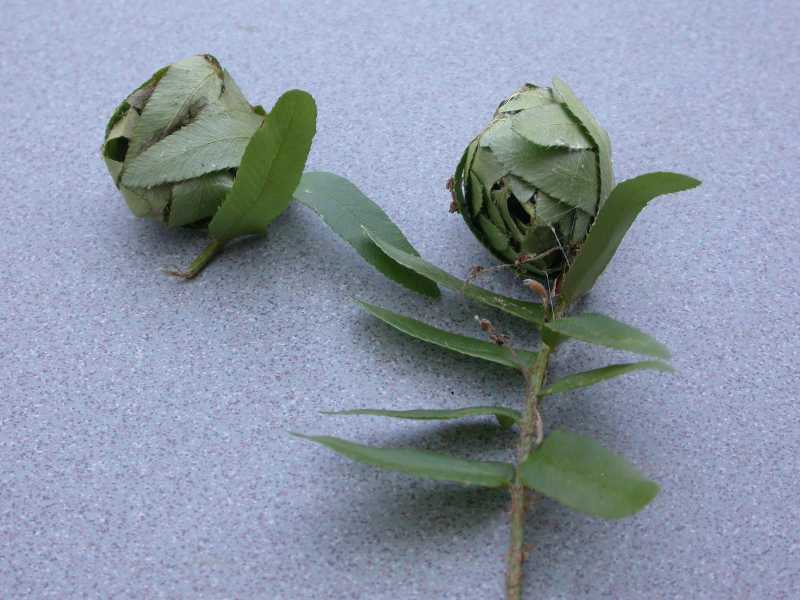 They may skeletonize leaves, which will then turn brown and drop in late summer. 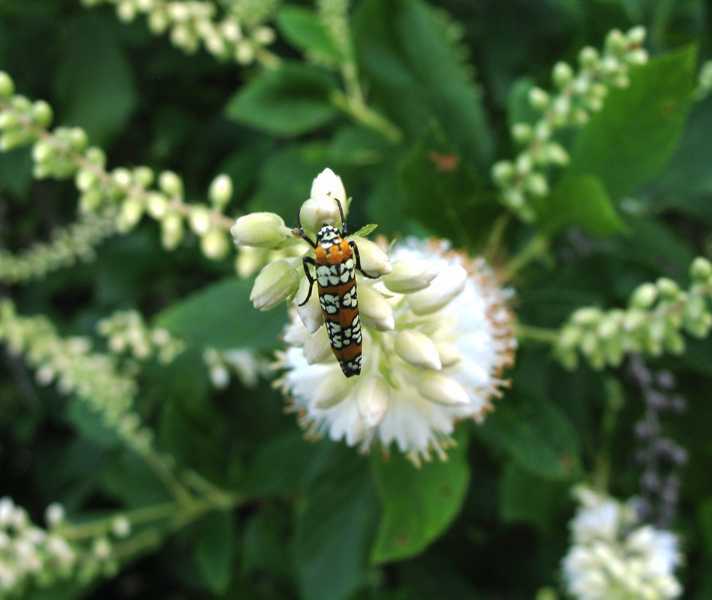 They primarily affect flowering plants such as annual aster, canna, geranium and roses, and trees including aspen, box elder, buckeye, citrus, cottonwood, elm, fruit and nut trees, hawthorn, locust, maple, oak, poplar and willow. 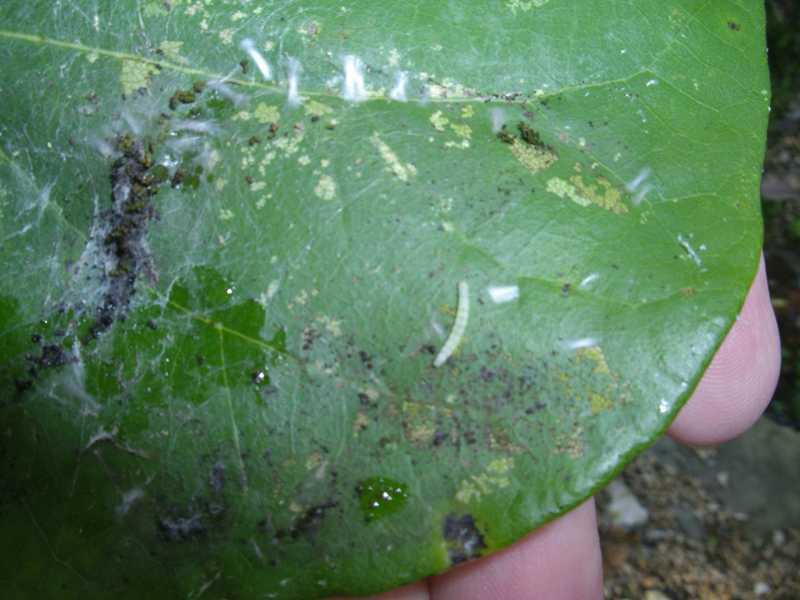 When present in large enough numbers, they are capable of defoliating trees and understory plants. 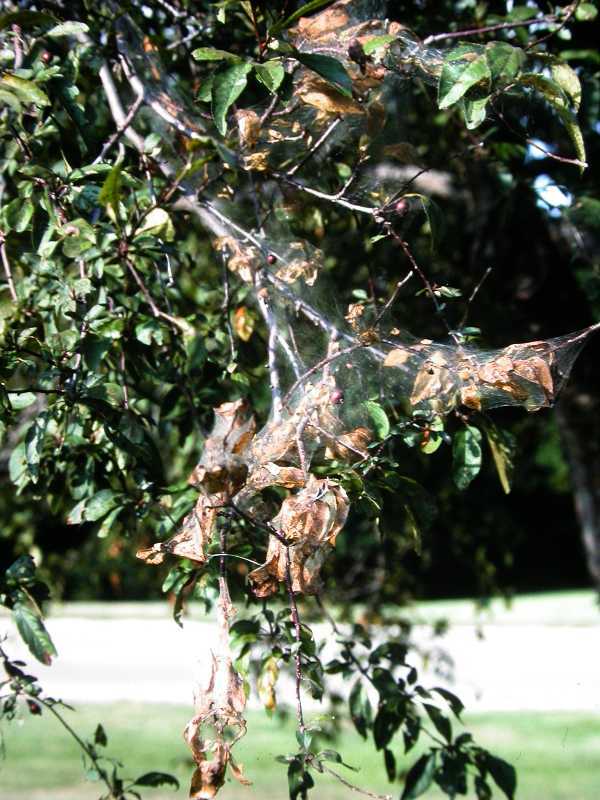 Bagworms and web formers primarily affect trees. 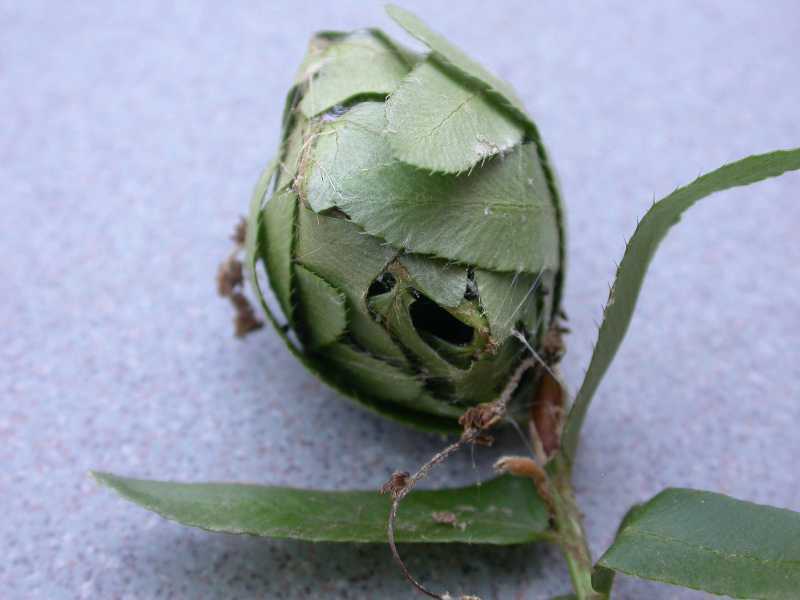 Bagworms emerge from eggs laid in protective cases in conifers, junipers and arborvitae, and less often in a number of deciduous trees including buckeye, ginkgo, honey-locust, juneberry, larch, maple, oak, poplar, sweetgum, sycamore and willow. 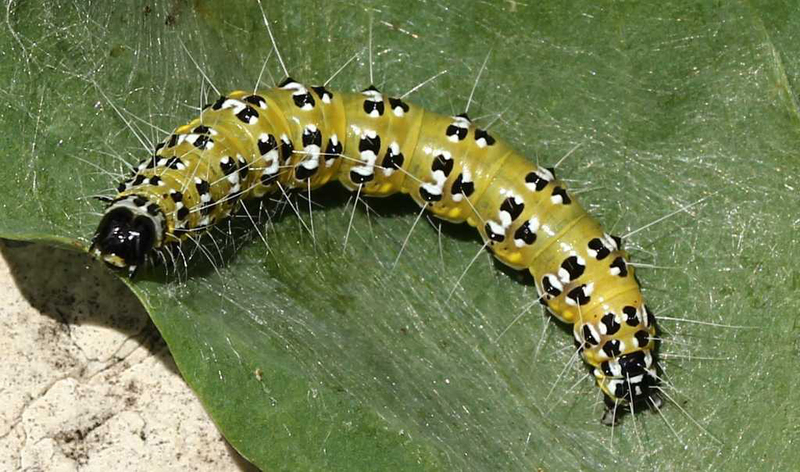 The young caterpillar comes out to feed and build its own conspicuous spindle-shaped cocoon, to which it adds bits of material from the host plant. 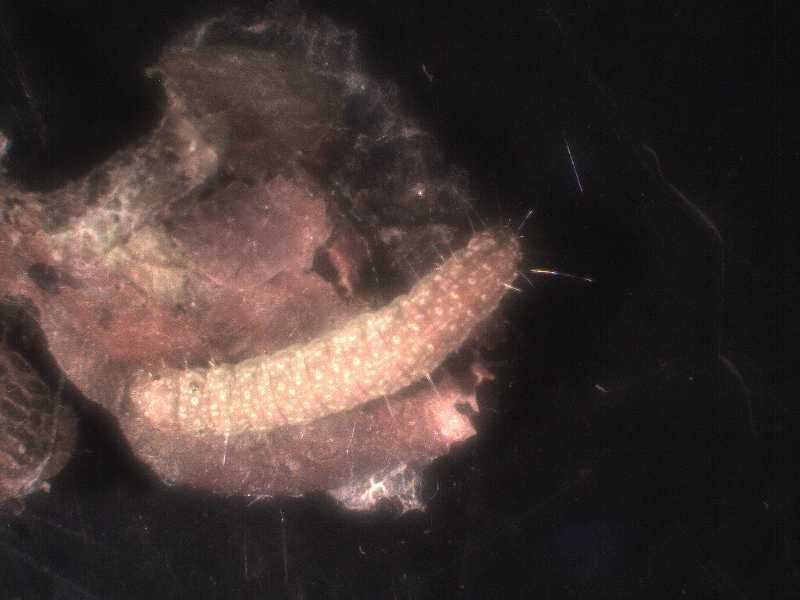 It eventually pupates within this bag. 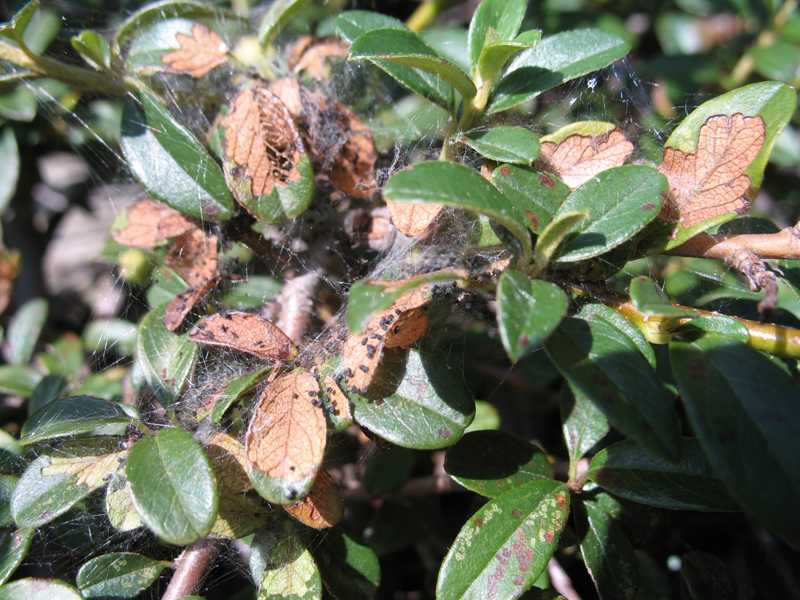 An infestation can partially defoliate, weaken and render host plants unsightly; large numbers can completely defoliate the host. 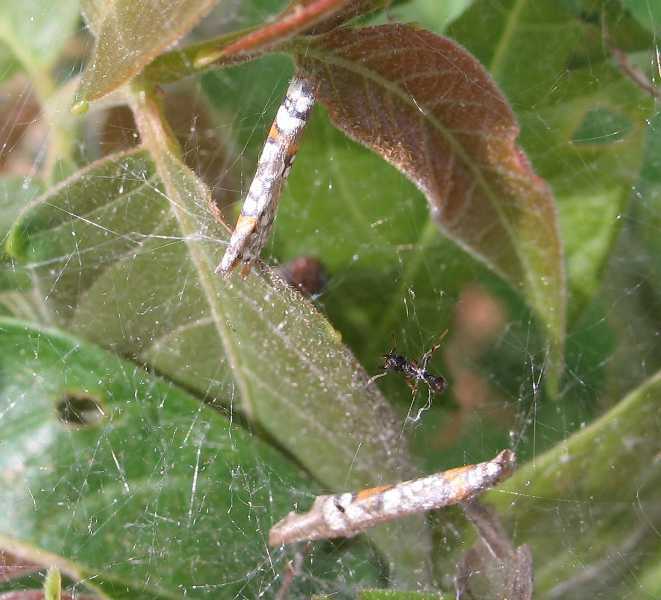 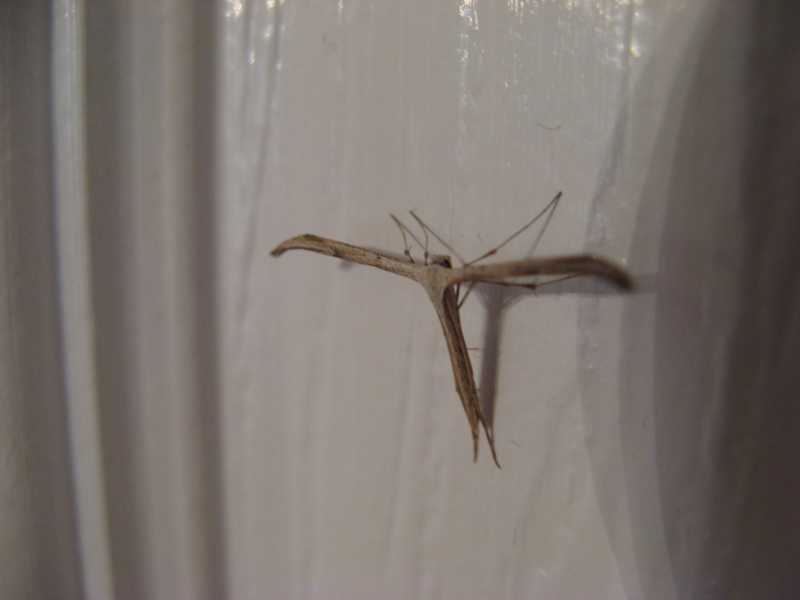 Web formers or fall webworms are general feeders on nearly all trees except conifers, although they tend to prefer apple and other fruit trees, ash, elm, hickory, linden, mulberry, oak, poplar, sweetgum, walnut, persimmon and willow. 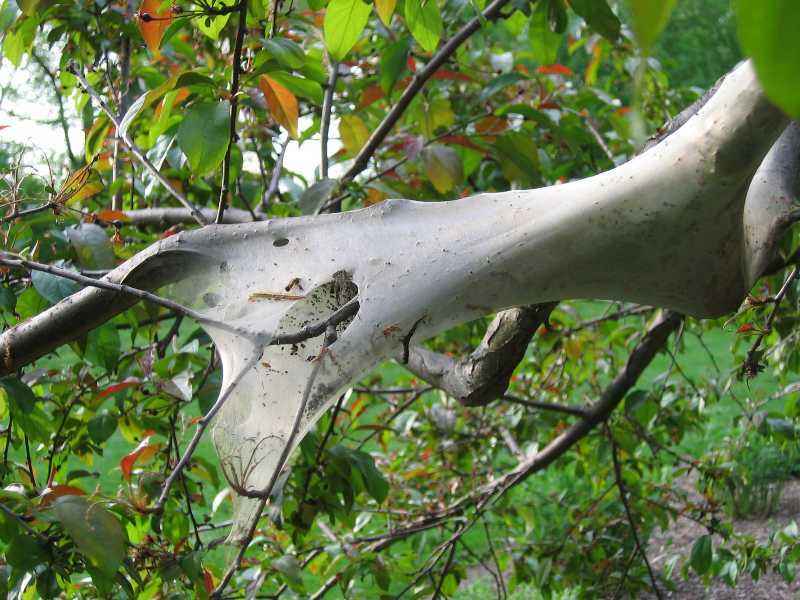 They build distinctive webs of silk around leaves at branch ends, each containing many caterpillars. 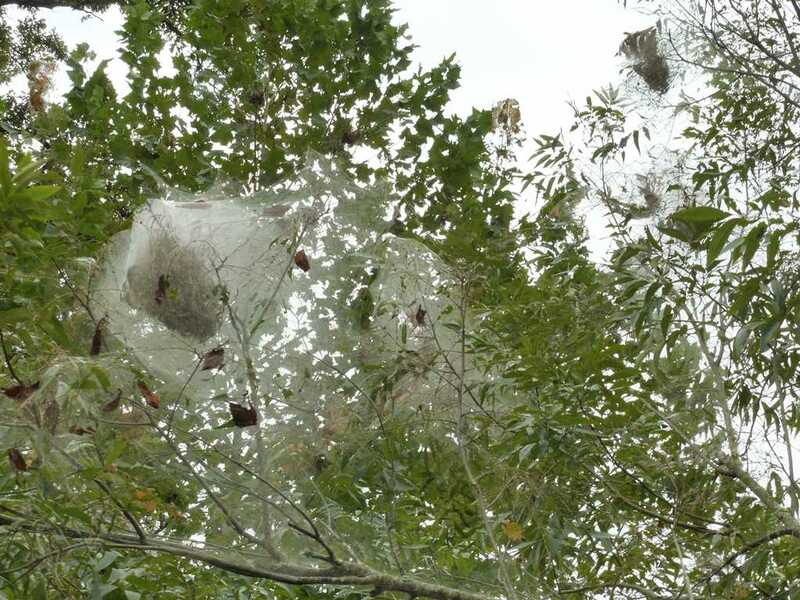 (They are easily distinguished from tent caterpillars, which make webbed silk nests in a fork of a branch or tree trunk.) 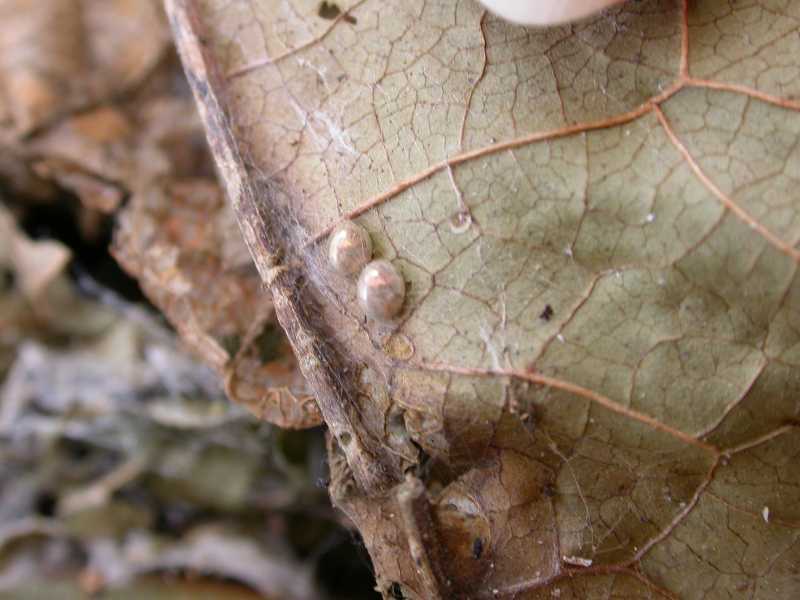 By late summer web former nests may measure up to three feet across and contain excrement, dried leaf fragments, and cast skins of larvae. 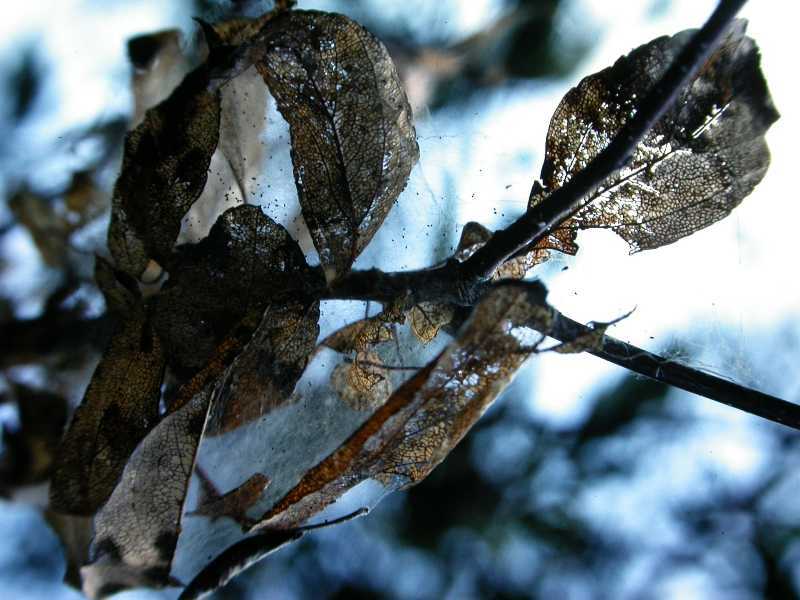 They are considered to be more of an unsightly nuisance than a threat to the health of the tree. 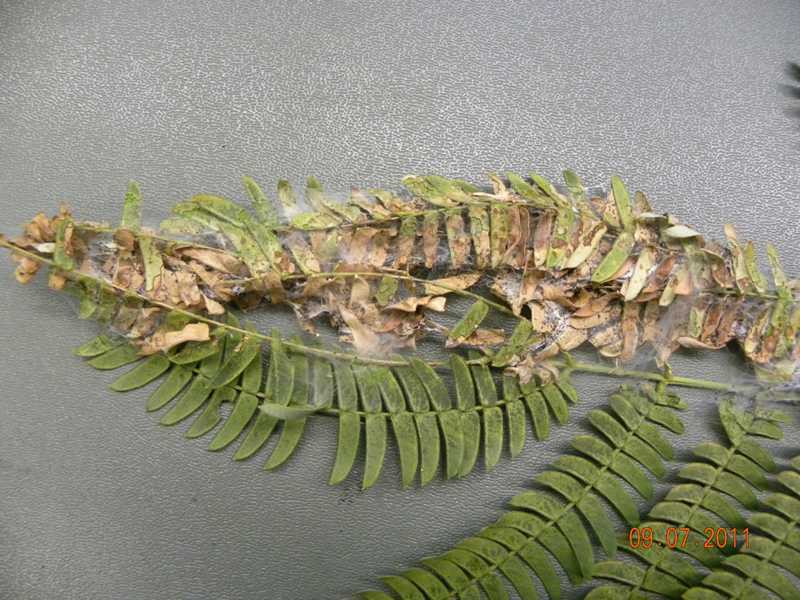 Leaf tiers, leaf rollers, bagworms and web formers or webworms respond to similar forms of treatment. 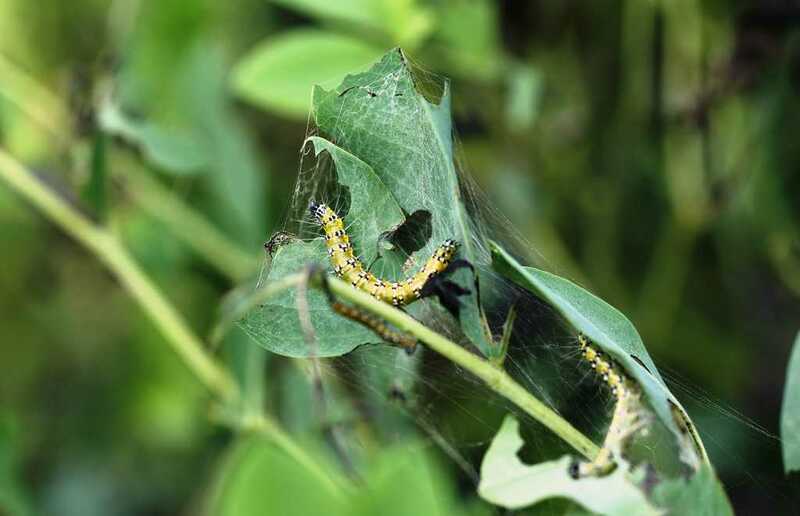 Handpick and destroy caterpillars, tell-tale rolled leaves and cocoons; prune out and destroy active webs, preferably when still small. 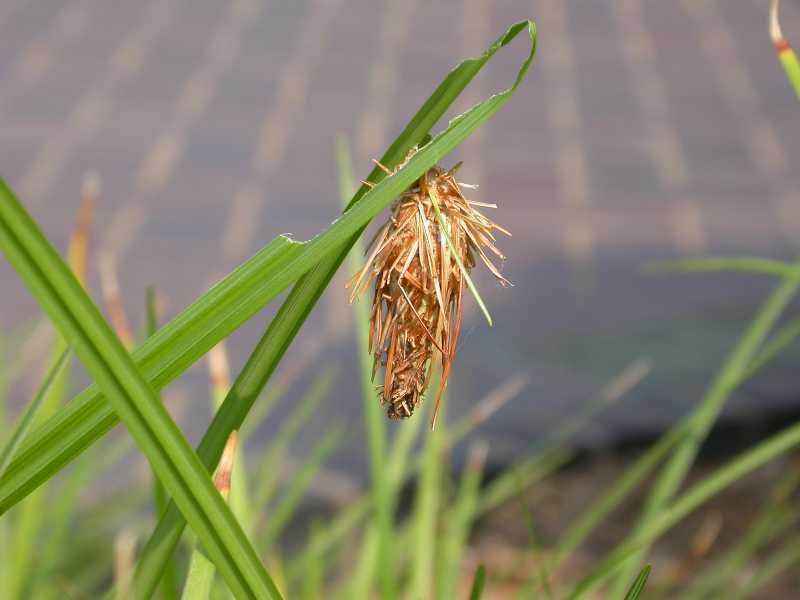 Bacillus thuringiensis (BT) is an effective control for recurring problems, particularly if applied as soon as larvae hatch. 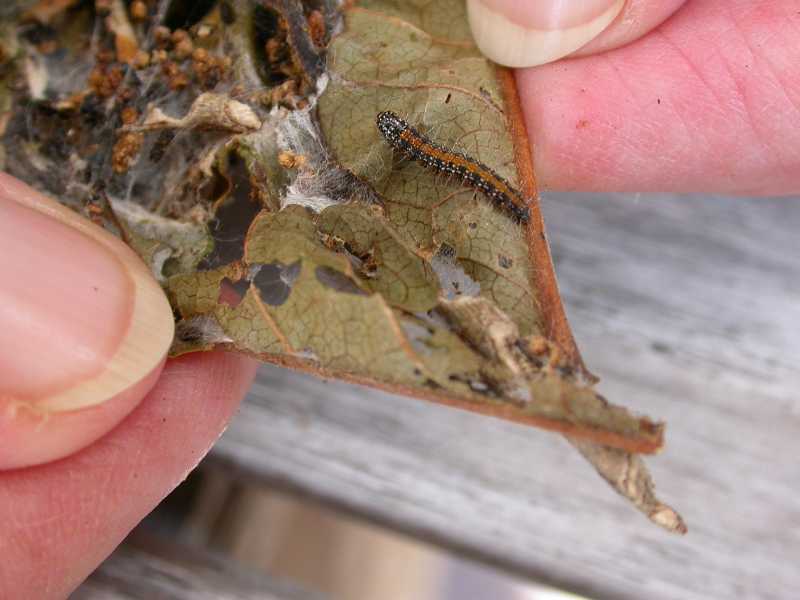 In addition, bagworms and leaf rollers can be controlled through the use of commercially available pheromone traps. 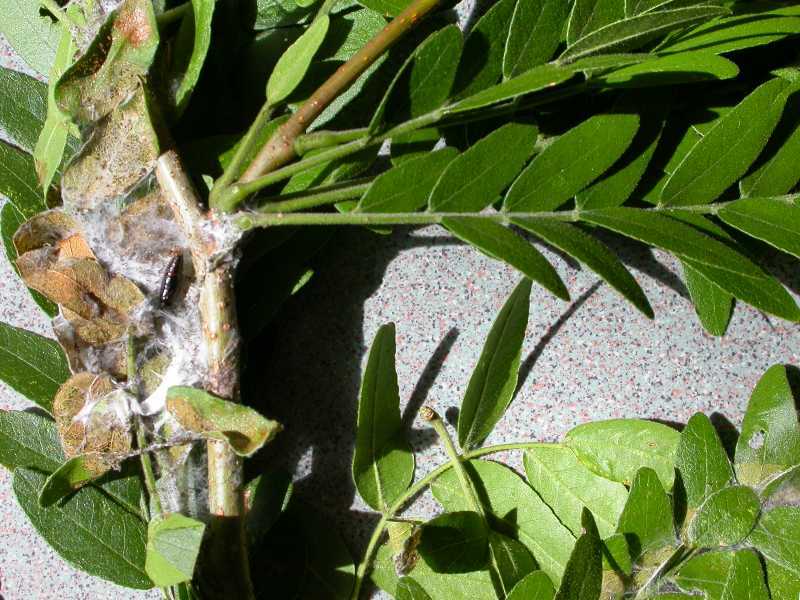 Trees infested with leafrollers can furthermore be sprayed with horticultural oil. 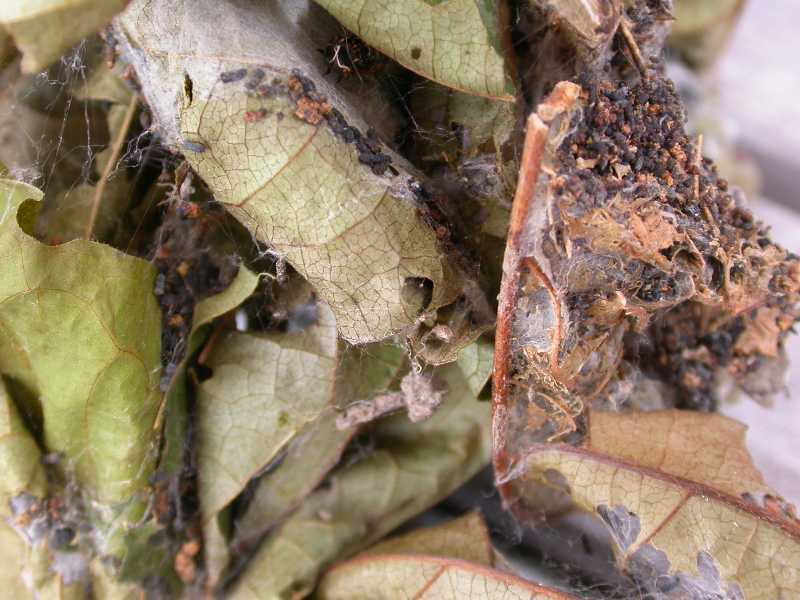 A mass of pawpaw leaf-rolling caterpillars (Lepidoptera), Ompalocera munroei, frass, webs, and pawpaw leaves (Asimina triloba). 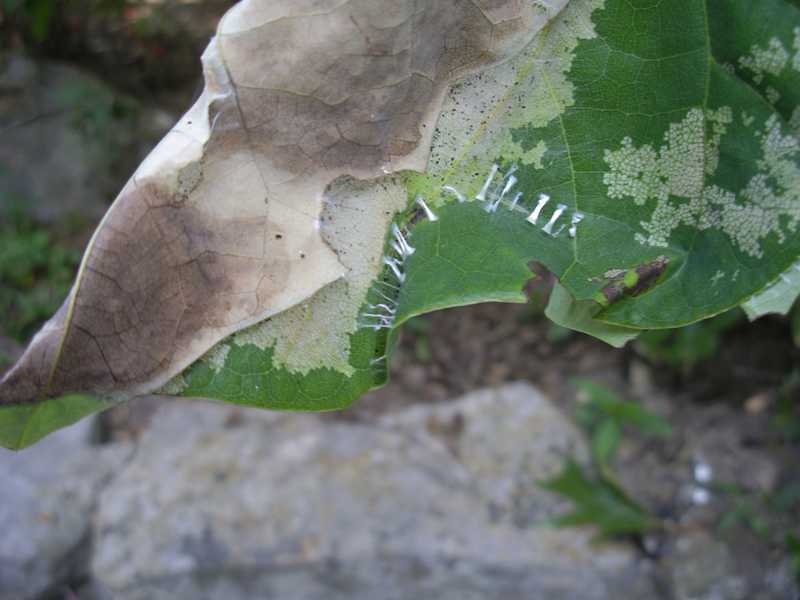 Pawpaw leaf-rolling caterpillar (Lepidoptera), Ompalocera munroei, and webbing in a pawpaw leaf (Asimina triloba). 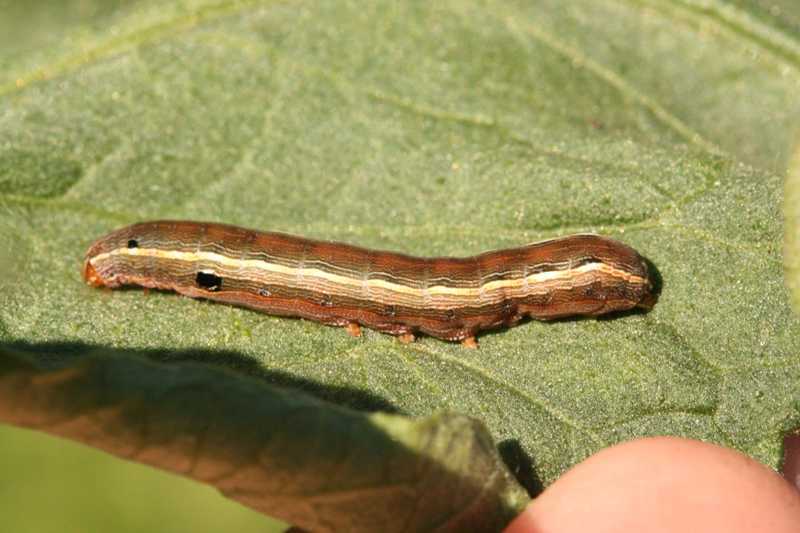 A well-fed pawpaw leaf-rolling caterpillar (Lepidoptera), Ompalocera munroei, on pawpaw (Asimina triloba). 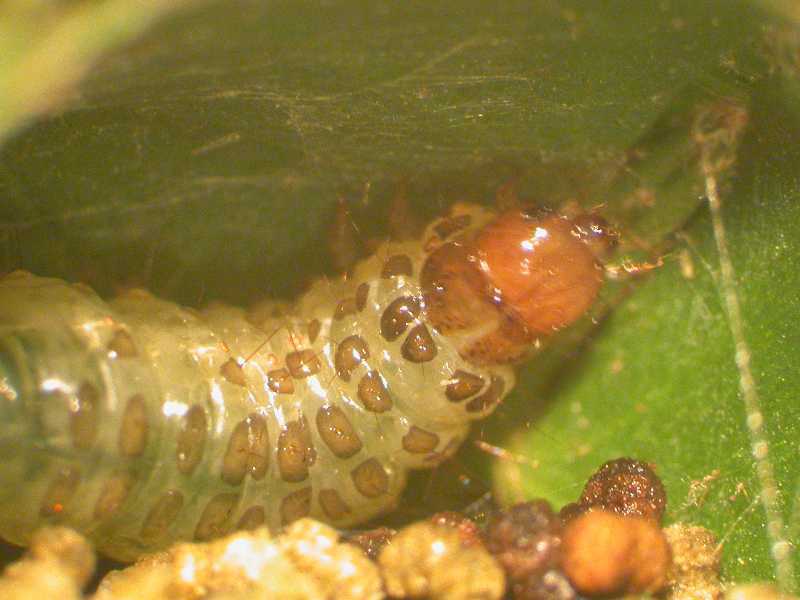 Eggs of pawpaw leaf-rolling caterpillar (Lepidoptera), Ompalocera munroei, on pawpaw (Asimina triloba). 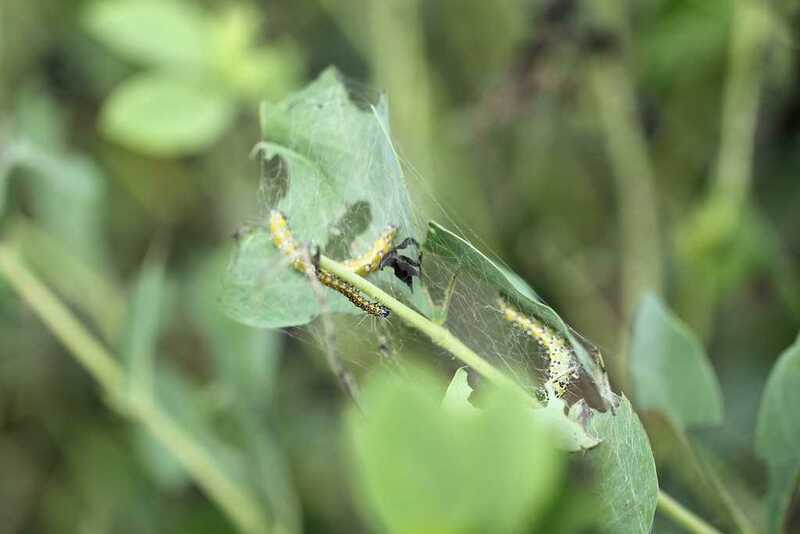 Genista caterpillar (Lepidoptera) on blue false indigo (Baptisia). 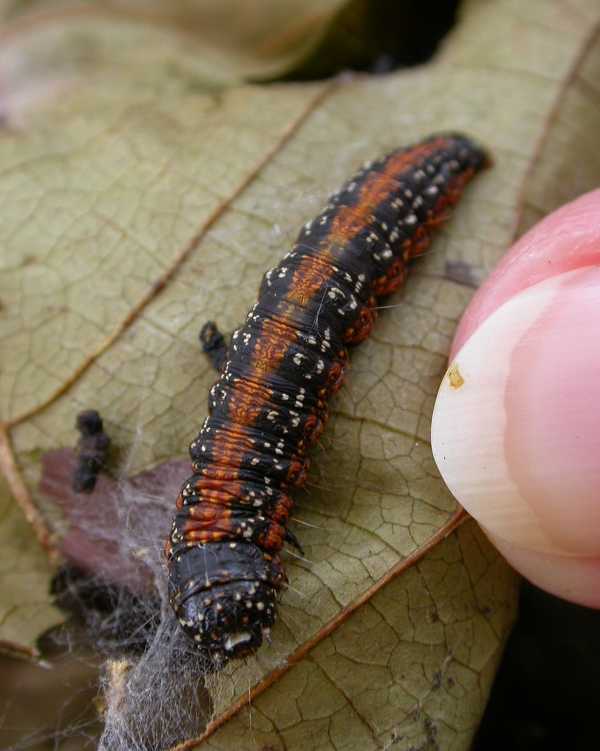 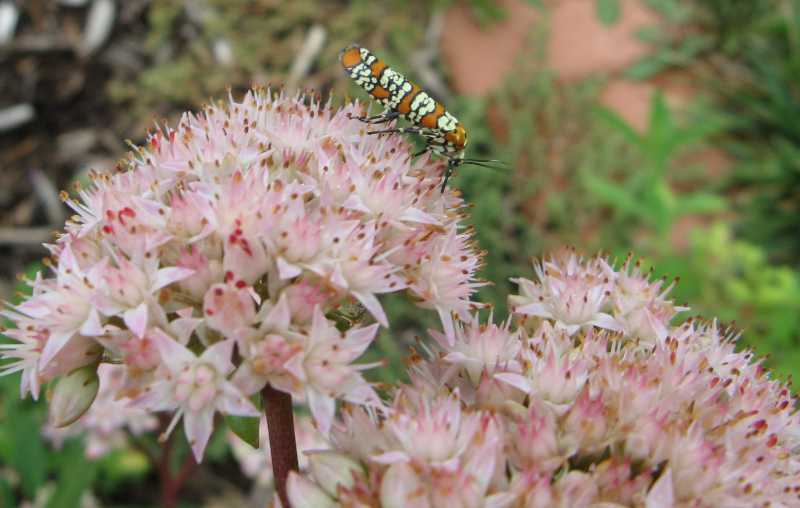 This webworm may also be found feeding on other members of the Fabaceae family.